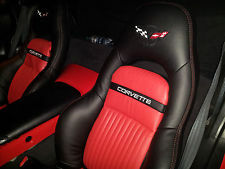 In the area of automobile upholstery we are able to create a whole new look for your interior by creating a custom combination of color and texture. OR, if all you need is that nasty old torn up driver seat edge (we call a bolster) repaired, we can perform upholstery surgery and remove and replace just that panel for a fraction of the cost. If your seat is worn or torn, cracked or split, we can replace the upholstery in just the area that needs the repair without upholstering the entire seat. If the foam bun is damaged we can graft in new foam. If the frame is broken we can weld it. If your headliner is hanging down onto your head it would be time to replace it. Our method is to remove the entire headliner board assembly from the vehicle, wire brush all the old foam from the board, clean, prep and upholster new cloth or vinyl material back onto the board and we guarantee it for as long as you own the car. We offer low cost replacement door panels for older model vehicles and for the newer models we can repair or replace the material on the affected door panel. We offer several low cost options for repairing cracked, faded, damaged dash boards. Option one: A hard shell cover for most make and model cars and trucks years 1965 – 2005. Option two: Remove front windshield to repair sun damaged or shriveled dash boards. Option three: Custom made carpet, cloth, or vinyl dash mat. We can offer carpet repair over the cost of new carpet in most situations. The most common of which is worn and torn carpet near the gas and brake pedals. In these instances we are able to install a new sewn in vinyl carpet mat over the damaged area. We also have other innovative techniques for saving you money over replacing the entire carpet in your vehicle. We offer full factory molded carpet for most make and model cars in a wide variety of color options. We can now offer seat heaters with massagers featuring four massage settings, three modes of operation (massage & heat, massage only, and heat only) and three heat settings (high, medium and low). Our seat heater only option offers a Hi/Lo heat switch (membrane or rocker) or Hi-Med-Lo with a lighted switch.